Venturing off into the startup world is scary, as it should be. You hesitate over the fact that your startup may not become successful; you worry about spending an unprecedented amount of money, and all-in-all your head is in a tailspin. Luckily, there are important steps you can take which lead to a rewarding return on your new company: copyright, trademark, and patent agreements. Copyrights, trademarks, and patents are areas of business that startups often forget about until it’s too late. You get in too far deep before realizing you need a patent on your product or brand and then BAM!—your heart sinks as you see your exact product on the market after already hiring employees, acquiring office space, and investing your life’s savings. This may seem like a startup horror story, but fear not. 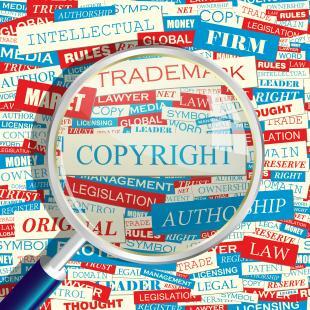 Whether or not you are new to the startup business or are a veteran seeking to fix past entrepreneurial mistakes, know now that looking into copyright, trademarking, and patent agreements should be your first step before taking any further action in beginning a new company. Taking care of these often overlooked legal procedures ensures better company survival rates and protects businesses from having to sue or be sued for stolen works, merchandise, or logos. Taking care of these legalities can be tricky, time-consuming, and at times costly. But remember, you have to spend money to make money, be successful, and stay out of court! So, though these processes may make you want to give up altogether, remember that your startup is going to be more stable once you have taken these steps and learned why they are so critical. Patents are one of the most vital resources of your company, especially when still in the startup stages. Patents tend to be the step in officializing a business that startup owners fear the most because the process can become messy and costly if not done correctly. According to Angela de Wilton of Technology Innovation Management Review, patents can cost around “$25K to $35K per patent, per country, over the 20-year life of a patent,” with patent application usually starting at a few thousand dollars. Startups often end up in hot water when they jump into patents without a strategy, or before their product or technology is ready to be patented. One of the greatest ways you can avoid the “patent trap” so-to-say, is to develop a patent plan. Rajiv P. Patel of Fenwick & West LLP has outlined a series of phases for startups to follow in order to have success with their patented product. Development Phase: This is when your company needs to look at if your product or technology is even patentable in the first place. This phase is crucial, because starting forward without it will inevitably end in failure if you do not do your research. Patel explains how this phase should be a business’ main focus, and should include creating business goals and blueprints that will be carried out long-term throughout the entire patenting process. Evaluation Phase: Once long-term goals are established, a company must begin evaluating the “intellectual assets” a company owns; this being a company’s products, services, technologies, processes, and business practices. “Organizing intellectual assets involves working with key company executives to ensure that the patent strategy closely links with the company’s business objectives,” says Patel. From there, a budget is created to fund the patent strategy. Once intellectual assets are organized, a product can be looked at to see if it is ready for patenting and public attention, or if it needs further development. Procurement Phase: This phase results in a patent portfolio that a startup can use to determine how to protect its technologies, processes, and business practices. The procurement phase is when startups tend to hesitate due to the costs rolling in. According to Patel, this is why startups should focus on investing in one or a few “crown-jewel patents,” which in their simplest forms are blocking patents which keep competitors from “entering a product or technology market covered by the patent.” This stage is also when a patent attorney should be hired. Provisional Filing Phase: Strategic business decisions come into play during this phase when an application is filed for the U.S. Patent and Trademark Office. This application must satisfy a variety of requirements in order for an “application date” to be obtained. Once a patent receives a patent date it is protected from other filing patent applications of similar products. Deployment Phase: The deployment strategy includes looking at competitive analysis, licensing, and litigations. Your company should begin to look at competitors’ patent portfolios, as well as looking at infringement issues. Here at OpenSesame, we offer great courses on protecting your startup with copyright, patenting, and trademark practices. Get started today and check out some of these useful training courses to benefit your business!